The Swans District includes 19 Junior Clubs – Aveley, Bassendean, Caversham, Chidlow, Chittering, Darlington, Hills Rangers, Forrestfield, Gidgegannup, High Wycombe, Kalamunda, Lesmurdie, Mazenod, Midvale, Mt Helena, Mundaring, Parkerville, Swan View and Upper Swan. Age groups range from Auskick- Year 12. Our Female Football teams start at Junior Girls (4-6) and culminate at Youth Girls (7-10). For Junior and youth girls enquiries, please contact Scott Faulkner. 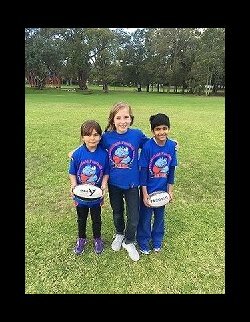 NAB AFL Auskick makes learning to play Australian Football fun, safe and easy for boys and girls. Through weekly coaching sessions they will learn the skills of the game in an exciting, social and safe environment. Children will be taught fundamental motor skills and learn how to interact with others as part of a team. 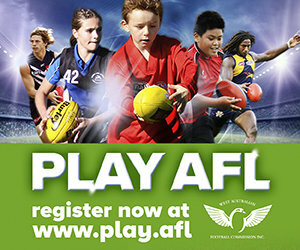 Head over to www.aflauskick.com.au and register today! Junior football provides boys and girls the opportunity to make friends, keep active and learn new skills in a supportive environment. Junior Football involves a fixture of matches in a team environment. Played on smaller grounds, the rules are tailored to ensure the safety and enjoyment of all involved. 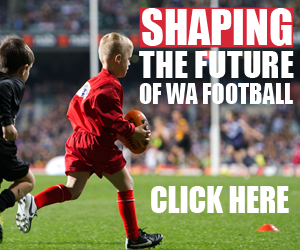 Youth Football provides teenagers the opportunity to play Australian rules football in an open rules environment. Competing on full size grounds, a series of matches are fixtured across the Central Conference. Teams will compete in finals for the first time, helping prepare top aged youth players for senior football. Female Football is a great way for girls and women to make friends, keep active and learn new skills. Female Football continues to grow at a rapid rate, meaning accessing a single gender team locally is easier than ever. The participation pathway provides opportunities to players of all skill levels and aspirations, including exciting new talent development opportunities.